Business owners agree that fraud has become a huge problem. 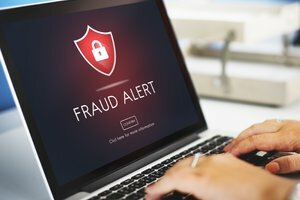 More and more companies are focusing their efforts on preventing fraudulent orders and protecting their customer’s information. One company in particular, PetSmart, appears to be making great progress. PetSmart’s e-commerce investigations team has been using fraud prevention technology that includes AI and advanced machine learning. So far, PetSmart has successfully caught criminals through these high-tech methods. Last year alone, the company saved $12 million by finding fraudulent orders before they were shipped. When you consider labor loss, merchandise costs, shipping costs, chargebacks, fees and fines, it easily translates to $3 to $3.50 for every dollar in fraudulent charges – an annual total of around $12 million. This year, the figure has already reach $1.5 million for the fiscal year (which began February 1). Chad Evans, manager of e-commerce investigations of PetSmart, says they expect to catch more fraudulent orders this year than even last year. Besides the incredible and staggering monetary losses of fraud, cybercrime also damages a business’ brand. Even though it is the criminal that acquired the credit card information to make the fraudulent charge, customers will associate it with the business. They might decide to take their business elsewhere and warn friends and family of their experience. Understand the Risks – Before you can protect your business and your customers, you must first know where your system could be compromised. Consider having a third-party vendor conduct a vulnerability assessment, so security weaknesses can be identified and proactive steps taken to minimize the potential of a security breach. Develop a Plan – Create a detailed plan of how a breach will be handled before it happens. You should also spend time training your team in what to look for and how to respond. Being able to act quickly and decisively will help you minimize financial and reputational damage. Invest in Protection – Cybercriminals are extremely sophisticated. So, you will need to invest in sophisticated technology; such as, firewalls, anti-virus software, internet and email filtering control and employee awareness training. It would also be wise to consider working with chargeback insurance providers to cover any potential losses or damages. Work with Experts – Make sure the companies you are working with also prioritize safeguarding your business technology. Find out what steps they take to protect your information, and what they would do if a breach did occur. Author Bio: Electronic payments expert Blair Thomas co-founded eMerchantBroker, serving both traditional and high-risk merchants. His passions include producing music and traveling. How To Create An Automatic Text Summary ?